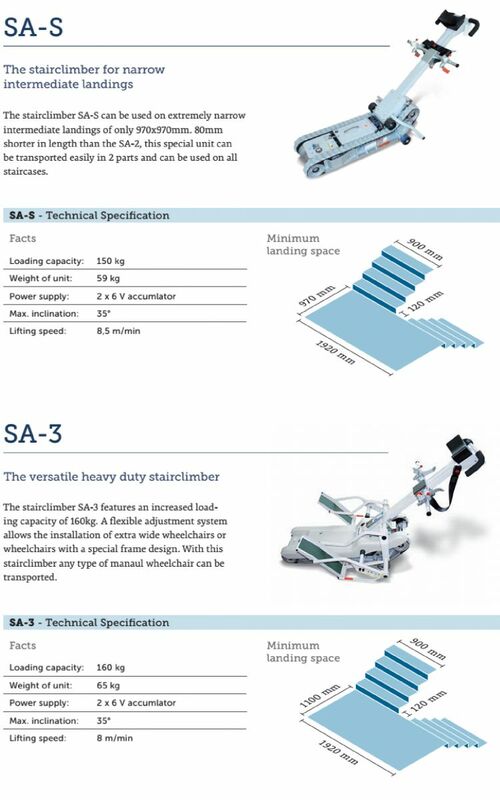 The stairclimber SA-2 adapts to most wheelchairs and can be taken apart easily for storage or transport in a car. 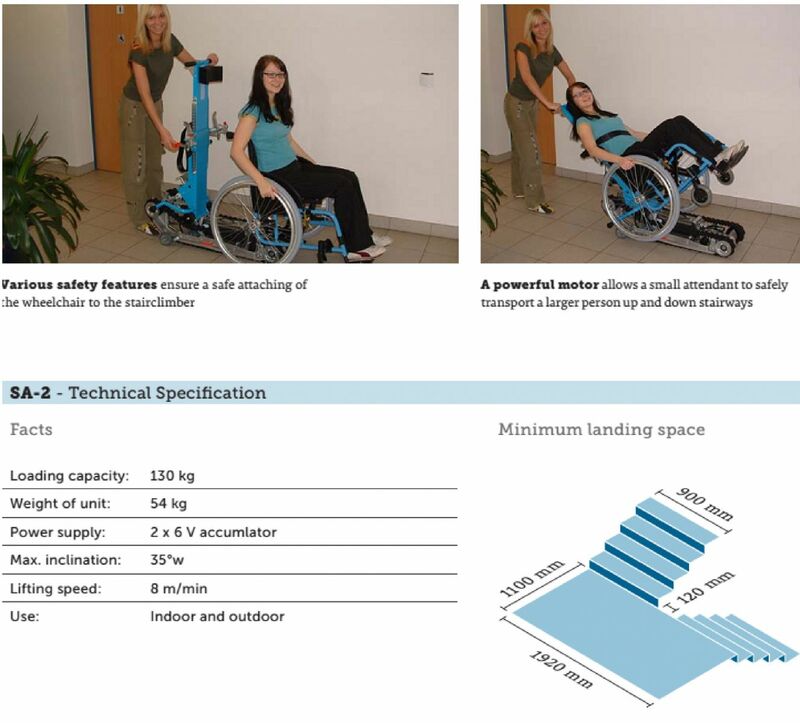 The product is very robust and requires a minimum of maintenance. 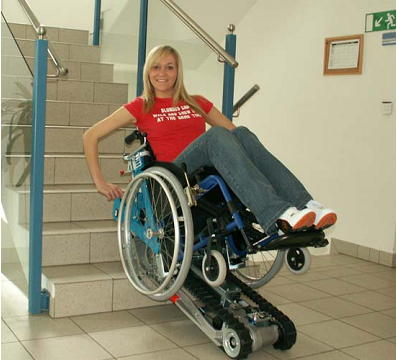 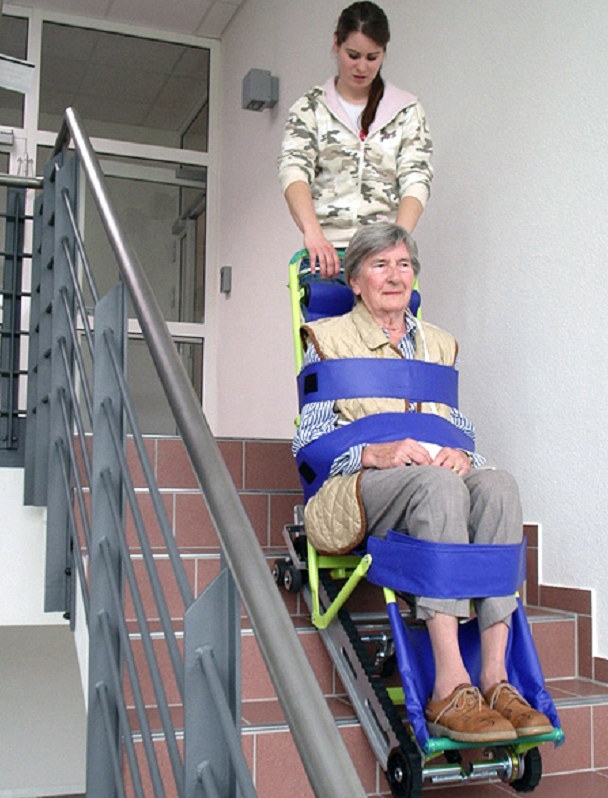 With the stairclimber SA-2 straight stair flights with inclination up to 35° can be climbed in a safe and simple manner. 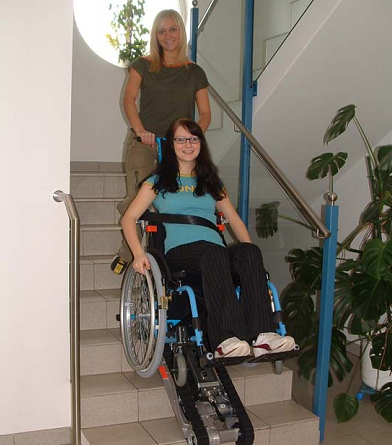 The stable construction and the self-locking gearbox ensures that the stairclimber stays save in place even if the assisting person releases the grab bars on the stairclimbers. 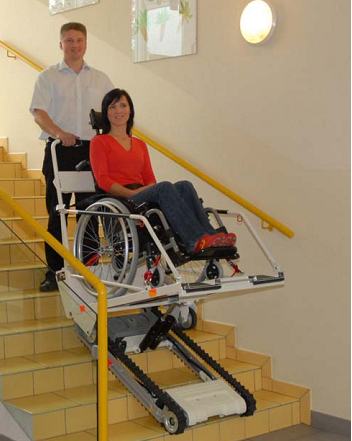 The strong battery and low consumption motor allow for a long use between charging cycles and make multiple runs on long stair flights possible.